Artificial Intelligence (AI) has helped the companies to digitize all the processes and operations. According to the McKinsey report, the AI has greatly enhanced four areas of the industry: project, production, promotion, and providing. Due to the implementation of AI, smarter R&D and more accurate forecasting in the project area have been introduced. AI tools have helped in optimizing the production process and seamless maintenance of the production process. And, in the promotion area, AI has helped the marketers to make targeted marketing strategy and targeted sales to reach out to the maximum audience sitting online. Another revolutionary development that AI has made is the development of digital wallets for digitizing the payment process. Paypal, Google Pay, Apple, Paytm etc. have enabled the users to manage their bank accounts and make payments with just a few clicks and have completely eliminated the need to store physical cash. People now are able to make instant payments at any time of the day. Advancements in AI has led the developers to create voice recognition systems which have enabled the users to speak to the devices and get answers to the queries. Apple’s Siri, Amazon’s Alexa, Microsoft’s Cortana etc. have enhanced the way in which Customers customers interact with the machine and eliminated the need to type into the devices and look for the answers of the queries online. The voice recognition technology has affected every area of a person’s life and it is expected that in the coming time, voice search will completely change the way customers will be interacting with the machines. With the increase in the number of cybersecurity breaches, the developers were looking for a way to curb these breaches. Due to the advancements made in AI technology, developers have come up with AI-based solutions that are more proactive and can preempt attacks in their pre-execution state by identifying anomalies and patterns associated with the malicious content. These solutions have been benefitting the companies globally to protect their data and other important information from external attacks and cyber theft. Artificial Intelligence (AI) has left no industry untouched to innovate it and make it more productive. It is believed that in the coming years, the population across the globe will be increased three times and it will be difficult to meet the food demands at that time. So, AI-backed solutions have been developed to increase the efficiency of the current farming methods which increase the production and reduce the wastage. Various machines which are operated using AI have been created to plant crops in a uniform and accurate way to increase the overall productivity. This is just one example by which the AI is influencing the farming and in the coming future, AI will be enhancing the ways in which farming will be done with the introduction of advanced crop management systems etc. Precision Medicine is the medicine which is developed for the treating and preventing the diseases that take into account individual variability in genes, environment and lifestyle for each person. This has changed the way doctors have been treating a group of people suffering from the same disease by enabling the doctors and researchers to predict more accurately the treatment and prevention strategies which will work on a particular group of people. Companies like IBM too have been using the advanced AI algorithms to detect tumors more accurately and efficiently in radiology scans and is even trying to find a cure for cancer. The banking sector has been benefitted in many ways since the introduction and implementation of the AI. The blockchain technology developed has improved and enhanced the way payments are made in the banking industry. The speed and accuracy with which the payments are made have been increased significantly through enhanced assistance and satisfaction. Another development that AI has made is the creation of Chatbots. This Artificial Intelligence software simulates the conversation between the users in the natural language through messaging applications. These can operate on desktops, mobiles and tablets as well. The chatbots have helped the companies to cater to the queries of customers 24*7 and have improved the relationship between the customers and the companies. Artificial Intelligence carries the potential to transform every industry using the Machine Language (ML) and the latest technology. 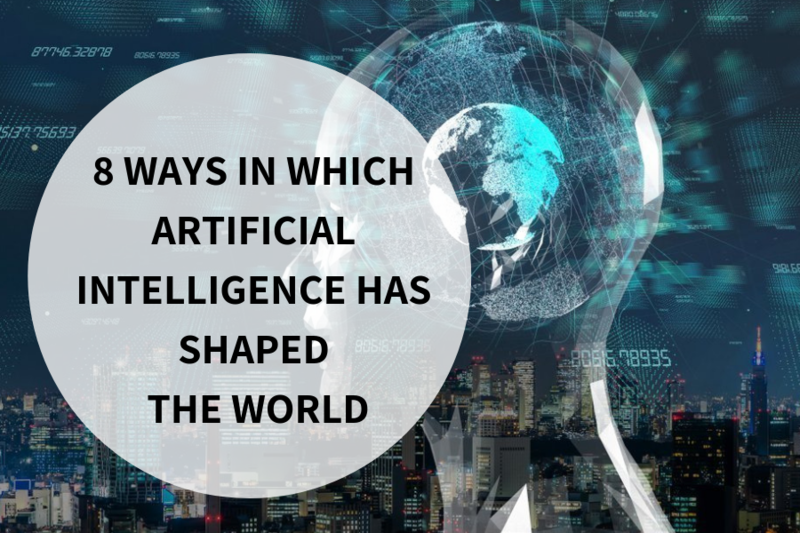 Artificial Intelligence is working on providing personalized support, high-quality customer experience, speed, efficiency and cost saving to the industries, and is also enabling the companies to reach the international market. Through AI, we can expect digitization of more processes and improvement in all the sectors to benefit the humans in every possible way down the line.